We finally bought a pressure cooker! 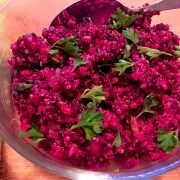 And this delicious Ginger Vinaigrette Beets recipe was our first creation! Pressure cookers are great way to reduce the time it takes to cook beans and dense vegetables. Since we eat lots of both, we decided to break down and fork over the dough to buy one. So far, so good. 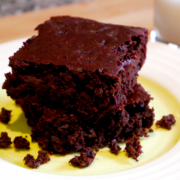 This recipe was in the manual that came with our Presto pressure cooker (we couldn’t find an Instapot) and it didn’t disappoint. 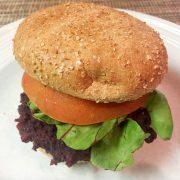 Although, we love beets in just about any form, so we may be a little biased. The original recipe called for 1/4 cup of sugar. Yikes! We rarely add sugar to recipes, but we decided to add 1 tbsp just in case the vinaigrette was too sour. Personally, I think it would taste fine without any added sugar since the beets are already very sweet. Depending on your taste preferences, you may want more sugar because it is pretty tangy. 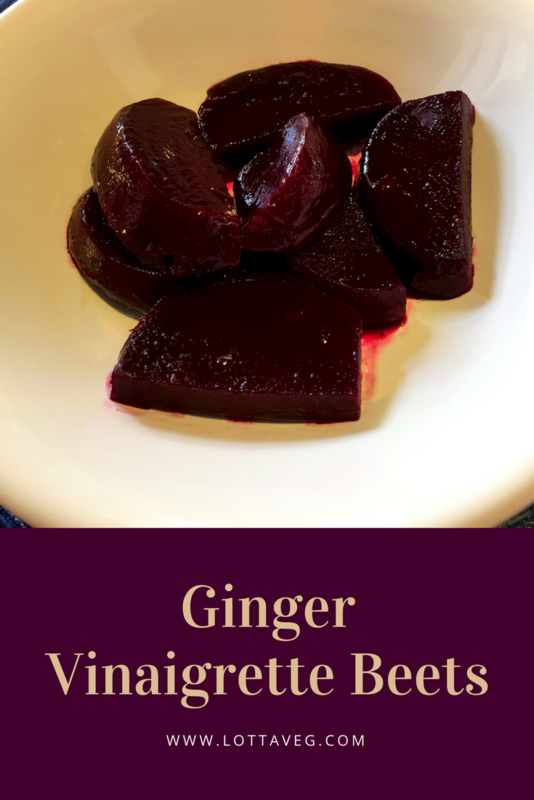 These Ginger Vinaigrette Beets would go well diced on your Hearty Side Salad or your Spinach Salad, or as a standalone side dish with your Broccoli Mushroom Stir Fry or Baked Tempeh and Broccoli. 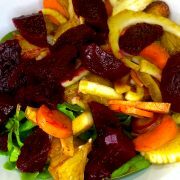 This Ginger Vinaigrette Beets recipe is flavorful and delicious. It works well as a salad topping or a standalone side dish. 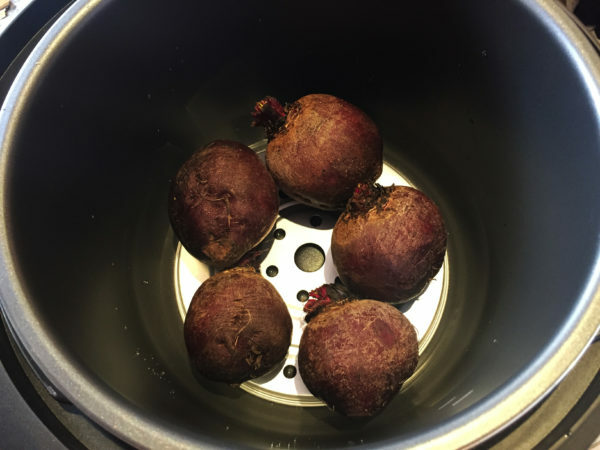 If using a pressure cooker, add 1 cup water and unpeeled beets. Cook on High Vegetable setting for 20 minutes. 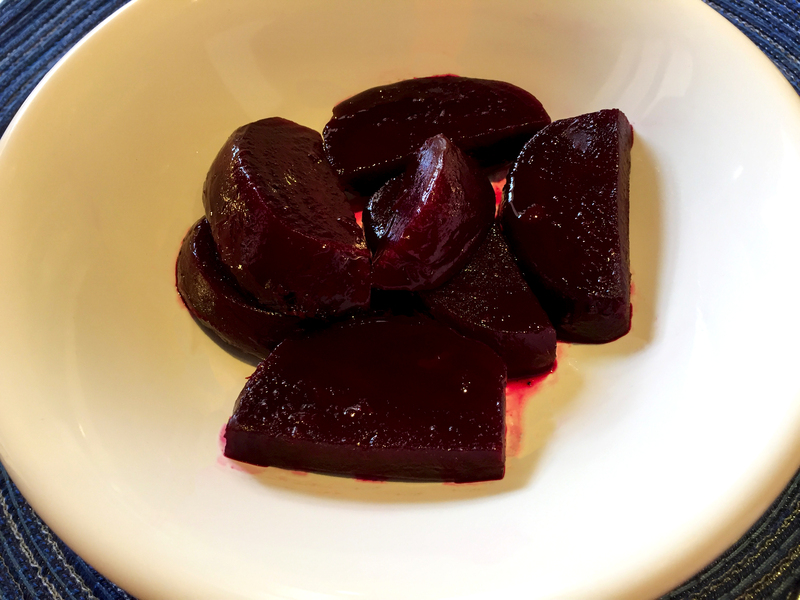 For high altitude or large beets, cook for 25 minutes. 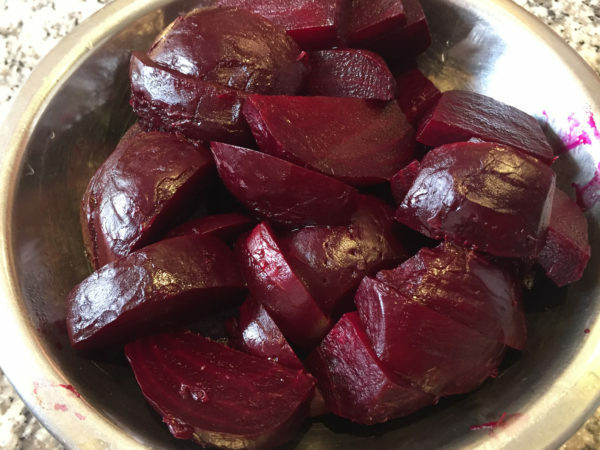 If boiling, add beets to a large pot and fully submerge in water. 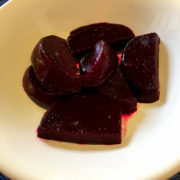 Bring to a boil and let simmer for 40 minutes to an hour, or until the beets are fork tender. 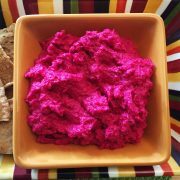 Remove beets and let cool. Reserve 1/2 cup of liquid from the beets and discard the rest. Once cool enough to handle, cut off the top and bottom of the beets, and peel with a dull knife. Add the reserved liquid to the pressure cooker or saucepan. If all the liquid has evaporated, add 1/2 cup vegetable broth, water or red wine to the pressure cooker or saucepan. Add red wine vinegar and sugar to the pressure cooker or saucepan and bring to a boil. Stir in the ginger and black pepper. Add the beet wedges and heat through, about 3 to 5 minutes. Stir occasionally to coat the beets with the sauce. Serve warm drizzeled with the sauce. Serving size is about 1 cup of beet wedges.